Grant says he should have a 1 month leash, Dave says he should be moved to lead off. Casey McGehee, the Giants’ big off-season acquisition, has struggled thus far: not hitting well, slow on the bases, questionable defense, and soooo many double plays. Let’s see how bad it has been so far this season by comparing McGehee to the other possibilities the Giants had in the off-season. I’ll assume that all these guys could match McGehee’s defense and focus on offensive stats. I was hoping these numbers would support my case for Adam Duvall at third. He’s off to a hot start for the AAA Sacramento River Cats, and I doubt his defense would be worse at third than what we’ve seen from McGehee so far. I was not expecting Arias to be near the top of this group. Those Sandoval numbers are depressing. What a jerk. Headley and Zobrist aren’t doing great so far, but I’d give them better odds of rebounding than McGehee. 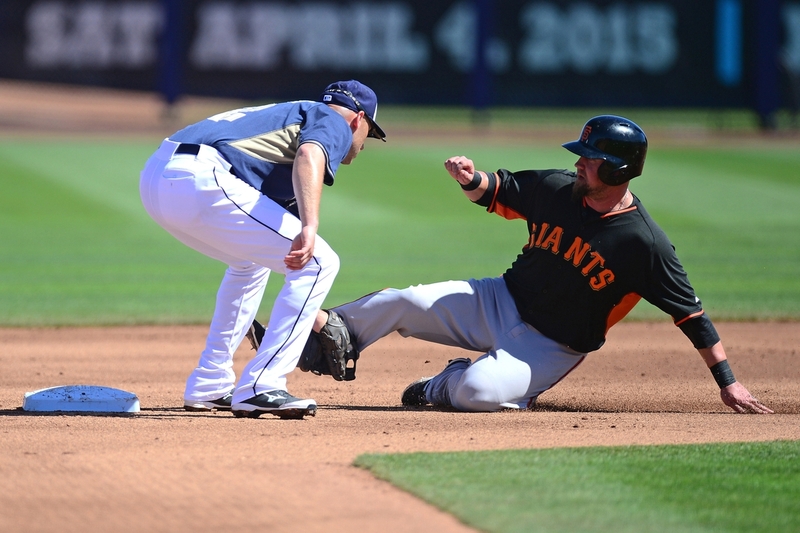 Realistically the Giants will keep putting McGehee out there, unless they make a trade. I, however, would put McGehee on the disabled list for the knee that is obviously still bothering him, and give Adam Duvall an audition. McGehee will probably get hot, make this whole conversation seem silly, and demonstrate why I shouldn’t be a baseball coach any day now. I would be OK with that as well. April 30, 2015 in Baseball.